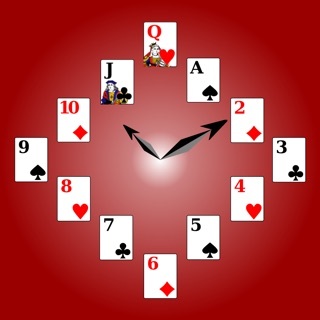 An interesting twist on clock face patience! Build the clock face up by suit until the correct hours show! Re-arrange the tableaux in descending order to dig out the hour-cards and use the 'Thirteenth' hour to store a card if you get stuck! Once you get the hang of it, try taking on Expert mode with lots of hidden cards! 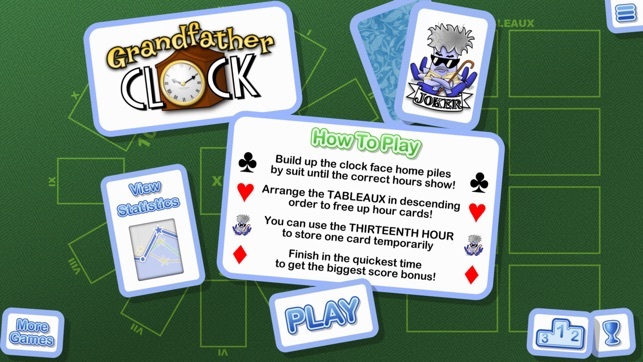 Challenge your friends to beat your highscores, or just keep them to yourself and use the extensive statistics to keep track of your best games of Grandfather Clock Solitaire. 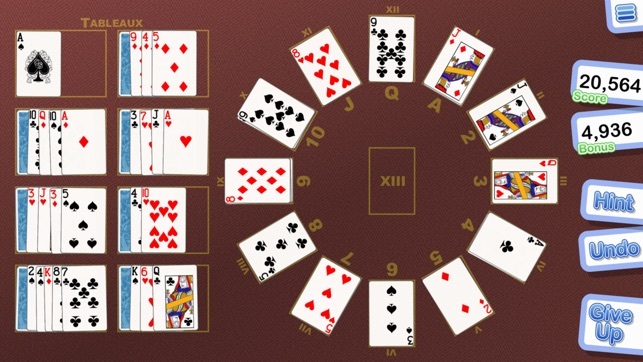 With clear and simple casino style graphics, customisable cards, a full tutorial for absolute beginners we hope you will agree that this is the best version of this popular card game to be found. 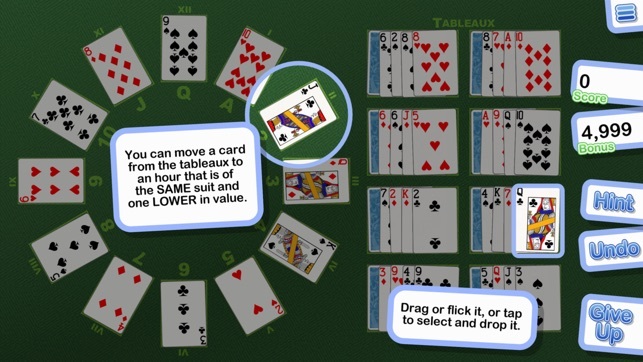 - Regular or reversed card layouts for left or right handed play! 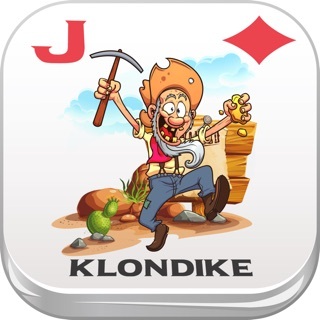 - Customise the look of your cards, even how scruffy the dealing is! 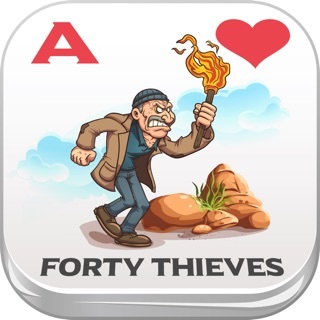 - Can you earn all the achievements? The Crystal Solitaire series of games have been some of the top online solitaire games on many sites, so we have redesigned them for a whole new generation of devices so you can carry on playing your favourite solitaire game wherever you may be! Fun game with good graphics. 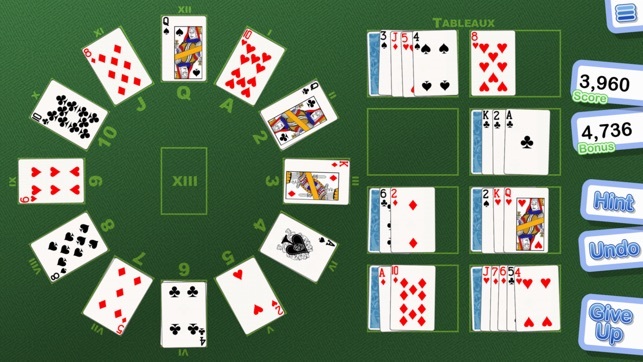 If you like gf solitaire you will like this version. 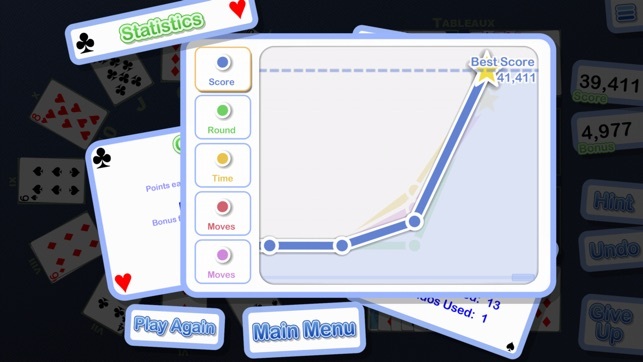 However, the game is not keeping track of my game statistics, so that is why I only gave it 3 stars.